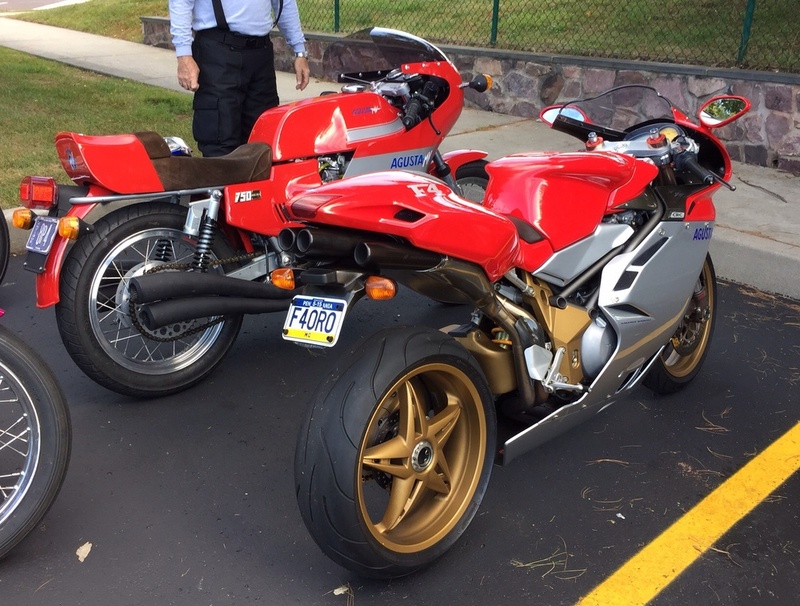 What kind of a crazy gathering has both a 1958 BMW R60 and a Ducati 1198 Panigale lining up to start? What kind of eclectic Moto madness has a near pristine Yamaha SR500 and a Vincent Black Shadow? 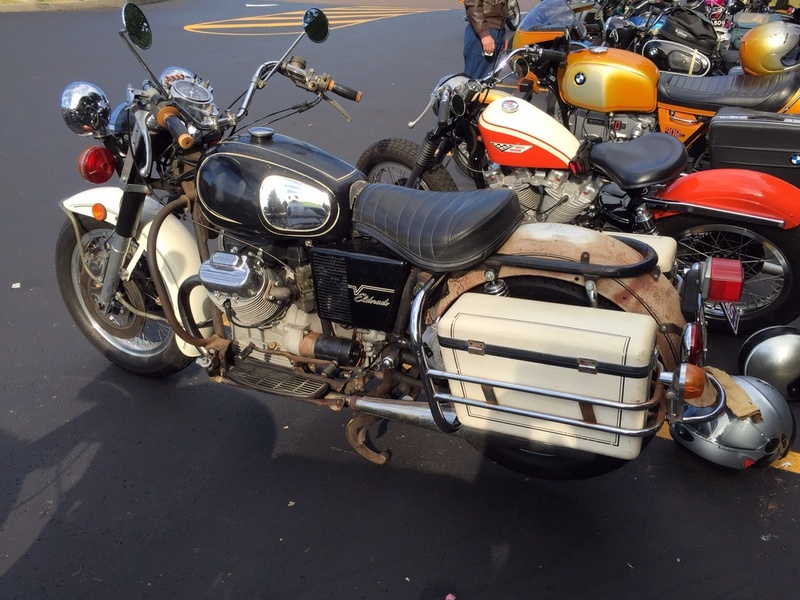 Todd Trumbore's Vintage Fall Ride. You have heard of Todd here before (see record wreckers and vintage fescht 2012). This year, there was a perfect fall day for riding a motorcycle, with blue skies, puffy white clouds, and perfect temperatures in the 70s. The faithful gathered at the traditional starting point to fill up the gas tanks and drain the bio tanks. Many of the regulars have multiple machines, so it is always interesting to see what will show up. Since it involves a ride of 50 to 100 miles to get to lunch, it can be a good opportunity for unveiling a new acquisition, or a newly completed project. My R60 had its pistons on the bench earlier this year, so this was a good chance to complete the 60 mile round trip to the start, and then the ride itself. BMW is usually the largest marque present, but there was plenty of variety. The vast majority of the bikes are vintage, but not all. MV Agusta (old and new), Harley Davidson, Moto Guzzi, Ducati (old and new), and Buell were among the marques present. 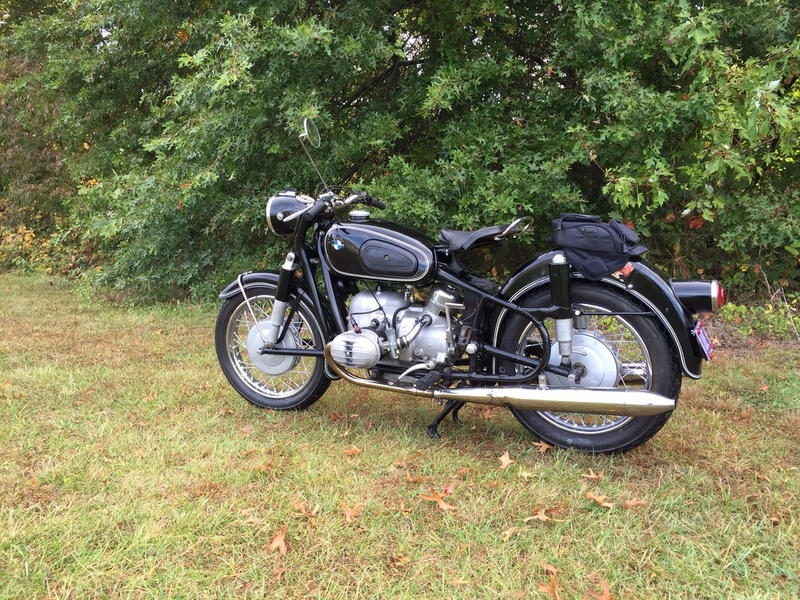 The BMW contingent included a goodly number of /2 machines, a few very nice /5 and /6 machines, an R100GS, an R100, several K-bikes, and several very nice R90S machines. The ride travelled along nice country roads which included nice sections of sweepers and straights which allowed the group to fan out a bit. Newer machines probably never got higher than 3rd gear, but it is labeled a vintage ride, after all. At the gas stop, there was more kicking of tires and swapping of lies and filling of tanks and draining of tanks. Then it was back on the road again. Todd finishes the event with a BBQ. There may be better ways for a vintage gearhead to spend a perfect fall day, but this past Sunday, none came to mind.